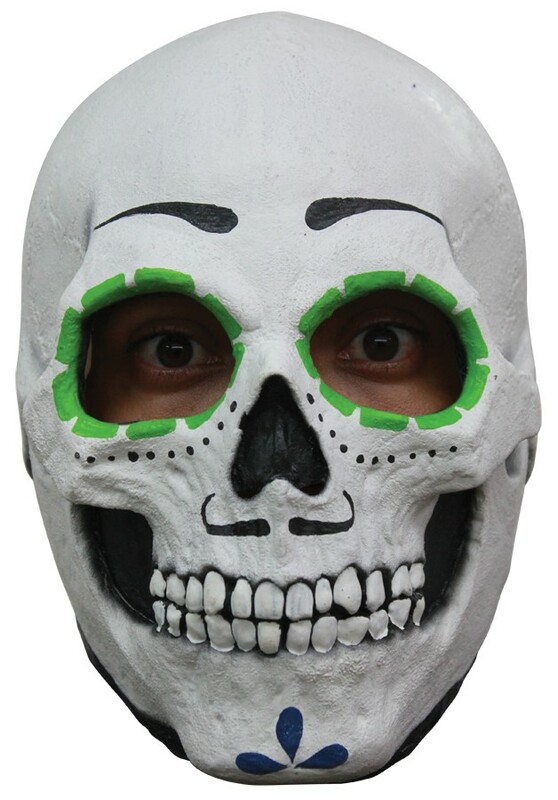 Full over the head latex sugar skull mask. Male. Individually hand painted for the most realistic look possible. One size fits most adults.